Realistically, what would you replace Azerite Power with to make any and all post-cap gameplay feel meaningful? Azerite Power is not something people seem to love. Sure, part of this is probably due to Azerite Armor being an even more disliked system, but part of it is because people still just plain don’t like having to farm Azerite Power all the time. The counterpoint to this — and Blizzard’s main reason for including such a system in the first place — is that having Azerite Power allows every single activity in Battle for Azeroth to provide a tangible reward and an understandable progression system. 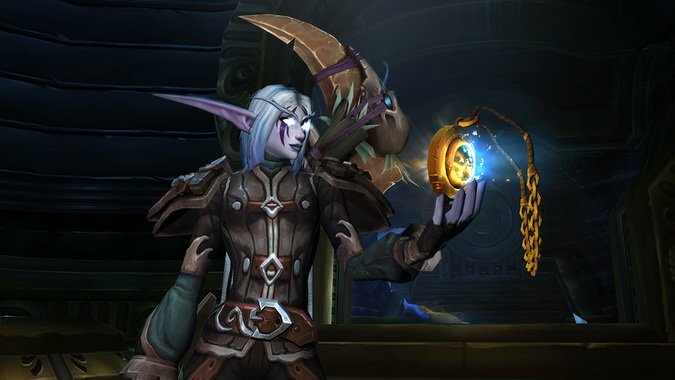 Without Azerite Power to constantly offer — even as a consolation prize for losing bonus rolls — what would the game have at max-level? Off the top of my head, I can think of reputation grinds, gold farming, collectible goodies to hoard, and gear to acquire. Of course, all of those systems still exist, Azerite Power or not — the AP is just the cherry on top. Logically, the game has the same end-game grinds it’s always had with the added bonus of a progress bar you can watch move as you do those grinds. Yet, it still doesn’t really feel good, does it? I’ve mulled this over a lot, and I can’t quite think of a decent replacement for Azerite Power that wouldn’t ultimately suffer from the same shortcomings. Is it just that the amount of AP needed to level up our Hearts of Azeroth is too high? Is it that the Azerite Traits themselves don’t feel rewarding enough? In short, is it really the AP grind itself that feels bad, or is it everything ancillary to it? I don’t have a great answer — at least not one I can provide in a couple hundred words — but I do think that it’s a trickier situation than completely removing Azerite Power altogether. Yes, people look to it as a problem, but they rarely offer a viable solution. Then again, maybe we don’t need a replacement. I really can’t think of something that would make post-cap content feel better outside of maybe a system that provided more story and lore content… but that sort of thing is tied to reputation anyhow. So I’m asking all of you: What would you replace Azerite Power with that would fulfill the same role while feeling more rewarding? Can it actually be done? Or would you be satisfied with its removal, period? Sound off below!